Have You Been Injured in a School Bus Accident? When any person, company, or agency fails to protect kids or adults aboard a bus, that entity becomes responsible if a school bus accident happens. Consequently, school bus accidents–while comparably rare, thankfully–have more than their share of potentially daily aggravating factors, including–among other examples, more deeply addressed below–driver negligence, inadequate security, dangerous roadways, weather conditions, defective products and improper maintenance. School buses are designed to be highly visible, and include safety features such as flashing red lights, cross-view mirrors and stop-sign arms. They also include protective seating, high crush standards, and rollover protection features. Moreover, laws are designed to protect students who are getting off and on a school bus: as every driver knows, it’s illegal for other cars to pass a school bus while dropping off or picking up passengers, regardless of the direction of approach. If your morning commute was ever slowed because you got caught behind a bus, remember, it’s the cost of safety–and a small price to pay, at that. What are the Statistics on School Bus Accidents? As with any commute, even the school bus isn’t immune to becoming involved in a crash: still large, imposing vehicles that categorically round rural neighborhoods and community areas, they supply a threat to others on the road, as well as their own valuable passengers. Between 1990 to 2001, there were between 50,000 and 63,000 bus crashes involving school, public transit, and intercity buses in the United States. Though there are were between 3 to 21 fatalities per year within that timeline, the number of injuries is much higher, with somewhere between 15,000 and 21,000 total. More recently, between 2006 and 2015, yearly averages report that child occupants killed in school transportation-related crashes were almost three times less than those in private vehicles: per year, there are around 54 school bus occupant fatalities, and 137 fatalities for occupants riding in private vehicles. Regarding fatal motor vehicle crashes, from 2006 to 2015, there were 324,710 transportation-related deaths. Of those, 1,172 (0.4%) were classified as school transportation-related, where 301 victims were school-aged, and 54 of those 301 (18%) were occupants of school transportation vehicles. The bus driver. Bus accidents are often caused by the driver’s negligent operation of the bus, or incapacitation as the result of DUI or DWAI. Additionally, drivers may violate traffic controls, fall asleep at the wheel, or have their attention diverted by distractions; though they’re held, and me hold themselves, to higher safety standards, human error is still a distinct possibility. In these cases, when there was no structural, environmental, or mechanical error at play, the driver may be held personally accountable for the crash and its resulting injuries or fatalities. As the employer of bus drivers, the school board may also also be either fully or partially financially responsible for the negligent conduct of the employee. The bus manufacturer. Cutting corners, or mere gross negligence, a bus accident may occur because the bus manufacturer sends a defective vehicle out on the road, with issues like faulty brakes, a shaky steering column, damaged tires, or other oversights that render the vehicle unfit for use. Contractors for bus repair and maintenance. If the crew or individual hired for repairs on the bus returned a vehicle still in improper condition, the personnel may be sued independently for negligent maintenance that causes a crash or accident. If the bus manufacturer knowingly released the vehicle in said condition, they may be complicit accessory to the crash. Driver of another vehicle. If the crash was the result of another driver’s negligence, then that driver may be held personally responsible for resulting injuries, on grounds of negligence, reckless driving, or DUI/DWAI. In instances where the driver was not at fault, but the accident occurred because of an issue of the car or truck’s manufacturer, that company may be held accountable instead. Furthermore, a driver’s employer may also be held liable if the driver was operating the bus while performing their work duties. The outsourced company hired to provide transportation. Owners and drivers for these companies can be held liable for driver negligence, or any other negligent action addressed above, in the event of an accident. When a bus trip is part of a package offered by a tour service (such as the service itself may be liable for damages to passengers when a crash occurs in an affiliated tour bus. The parts manufacturer. 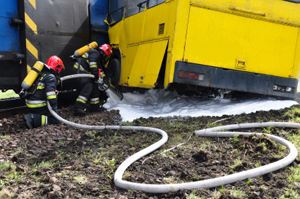 The manufacturers and/or retailers of defective vehicle parts which contributed or fully caused a bus malfunction and a subsequent accident may be liable for the related injuries and fatalities. Private organization. Private groups, such as a church which may have lent a dysfunctional transportation vehicle for school use, may also be held responsible. The school district itself. The school district will almost certainly be involved in any initial claim. 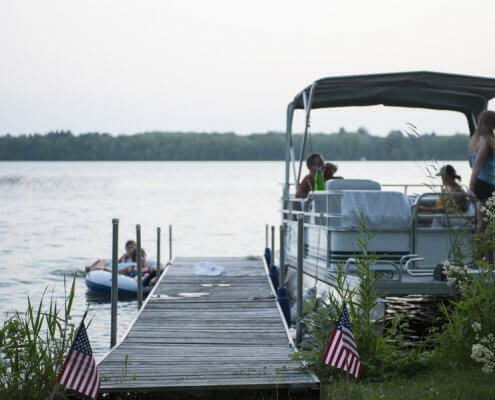 As the lake from which most of the above “rivers” of causation typically flow, the school will more than likely have contributed to the occurrence of the accident, and will be held accountable as necessary. Do You Have a Claim for a School Bus Accident? Medical expenses. Injuries resulted from a school bus accident may include: whiplash; broken bones and/or fractures; head, neck or back trauma; spinal cord injury; loss of limbs; brain injury; disfigurement; burns; tissue trauma; internal bleeding; paralysis; and, in the worst case scenario, death. Lost wages (or impairment of earning capacity) as a result of hospital stay-time, or, for the loved one of a bus accident victim, the necessity to temporarily or permanently extricate themselves from work in order to provide care. 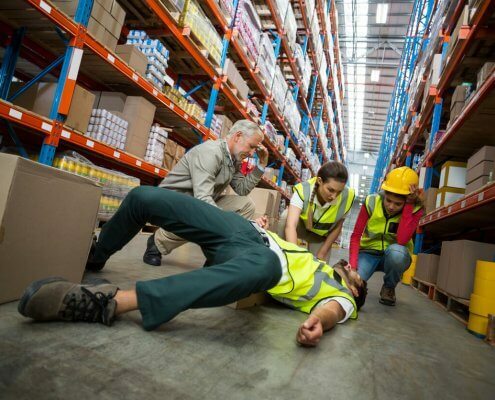 Workers’ compensation may also be claimed in these cases. Life care expenses, such as life support or ongoing medical expenses for chronic injuries. Pain and suffering, for both emotional and physical distress. If your loved one has been injured or killed by a school bus or related vehicle, you need a personal injury attorney that understands the emotional and physical toll that this wreck took and understands the complexities of these types of cases. Therefore, if you have a question concerning school transportation accidents, you should ask a lawyer.